On one of the songs entitled, "No Frauds", Minaj took shots at Remy's conviction where she was sentenced to eight-years in prison after she had shot a former friend in the stomach for stealing money from her pocket-book. "What type of bum b--ch shoot a friend over a rap", Nicki raps. 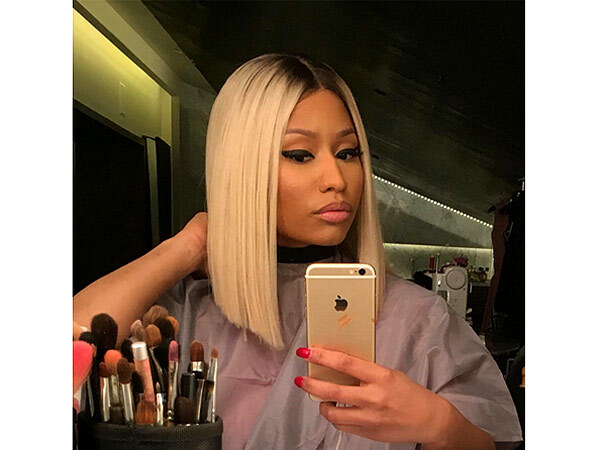 Minaj, 34, also rapped about the "Love and Hip Hop: NY" reality star's motherhood, saying "what type of mother leave her one son over a stack?" Along with No Frauds, Minaj also released Regret In Your Tears and Changed It, which features Lil Wayne. Nicki Minaj has also placed a bet, saying if Remy Ma can put out a hit song, book a show or interview without mentioning her name within the next 72 hours.... she's willing to pay her 500k. Do you think Remy will take the bet?